Diamonds are forever, and they are a girl's best friend, but as minerals go they are not just another pretty face. 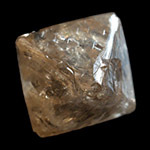 Noted from ancient times for beauty, brawn and mystery - and today for impacting a broad segment of modern life - diamonds stand out as one of the most exceptional of all minerals. Mineral frauds and fakes can be found at any mineral show, large or small. This guide to common scam practice is far from complete, but it will help you to avoid being fooled by dishonest dealers. 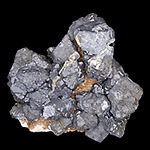 Galena, historically also named lead glance, is among the most abundant sulfides. Nice crystals and clusters of galena are almost every mineral collection. 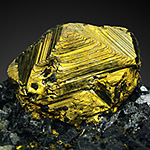 But this common mineral has some interesting features and it source for many beautiful secondary minerals. 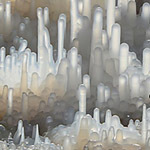 Chalcedony is very variable and versatile stone and occurs in many environments. 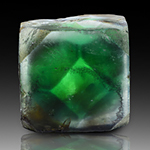 It was used since prehistoric times for stone tools and became one of the most used gemstones. Despite its abundancy, chalcedony still has some secrets. Chalcopyrite is the most important copper ore, and it is the primary source of many popular secondary copper minerals. It can occur in a variety of environments and forms, from hydrothermal veins to sedimentary layers. Nice chalcopyrite crystals are highly sought after by collectors. 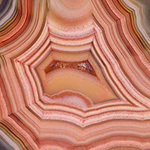 Agate is a beautiful and very popular gemstone that is widely recognized for its unique and varied colors and banding. 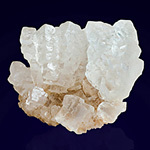 It is a type of microcrystalline quartz that is commonly used as an affordable alternative to pricey gemstones in jewelry. It may also be carved into figures or statues, or used in handles for knives. 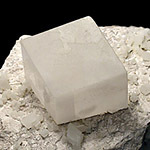 Halite may not be very well-known by its official name, but it is more easily recognized as naturally-occurring salt. This common rock salt can form incredible crystals and even huge salt caves in nature. 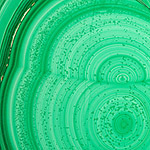 Brilliant green color makes malachite a very popular and widely-recognized stone. 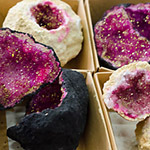 Bright color, aesthetic specimens and reasonable price make this interesting mineral very popular among collectors.